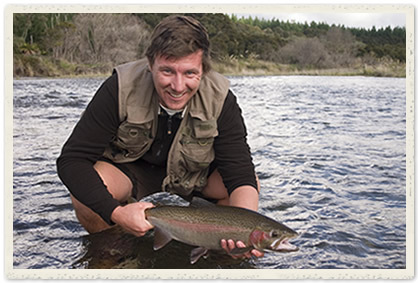 Mathew McHugh is the architect behind Fly Odyssey, a UK based fly fishing travel agency specialising in unique fly fishing adventures throughout the world. His company has developed a range of adventures from affordable bonefish destinations in the Caribbean to deluxe mothership packages in the Coral Sea, from hosted trophy trout expeditions in New Zealand to fishing the mighty salmon runs of the Kenai Peninsula. Whether you are looking for a short break fishing for trout and salmon in Iceland, Slovenia, Sweden or Croatia or a week stalking bonefish in a tropical paradise Fly Odyssey will provide you with the best option to meet your budget and your fly fishing aspirations. We provide a variety of services to ensure that all your travel and tackle arrangements are taken care of and all you need to think about is fishing. For detailed information on all of the destinations on offer please visit the Fly Odyssey website or call +44 (0)1621 743711. Further contact details can be found in the notes opposite.